From Dulwich to the Southbank and all that's in between, we have some of the most iconic venues available for you to celebrate your special day. Find your perfect wedding venue at Lambeth Town Hall. The Grade II listed building boasts some stunning rooms just right for your special day. 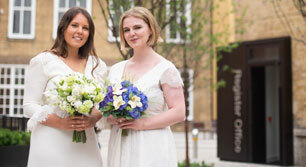 Getting married or forming your civil partnership will be one of the most memorable days of your life. Therefore choosing the right venue will be absolutely crucial. 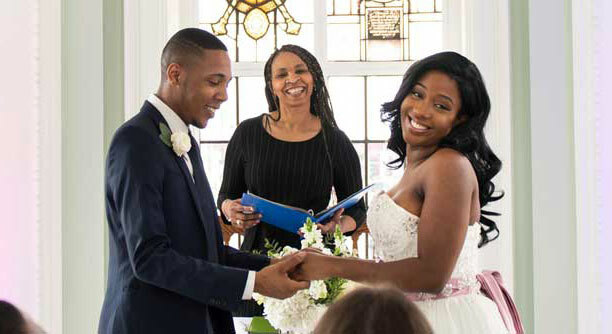 The London Borough of Lambeth is a fantastic place to get married, from the London Eye to the Brockwell Lido, this website showcases the diverse range of venues available in the borough. Got a question or want to organise a viewing of a Town Hall room? Email us at: registeroffice@lambeth.gov.uk. Celebrate your special day and find your perfect venue in Lambeth. This section details the required steps to get married, including how to give notice and our registrars fees. This section details the required steps in place to form a civil partnership, including how to give notice.